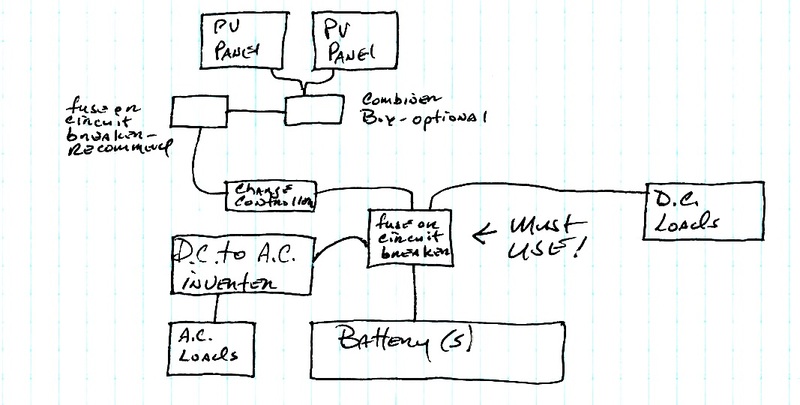 A solar electric system can be a simple, or complex, as you want. current) loads and/or the d.c. to a.c. inverter. This fuse, if sized properly, can be used for both. in a dead short situation. If you need to power up 120 volt a.c. loads you will need a d.c. to a.c.
to make all of the components come together.